Baron™ 590 is rated 4.0 out of 5 by 36. 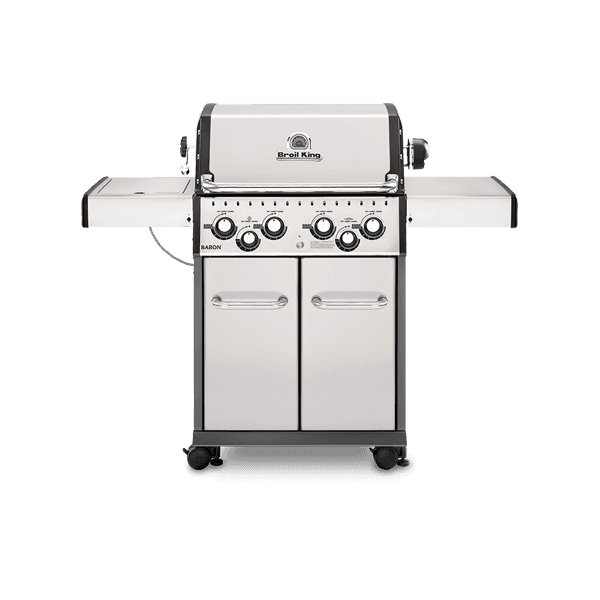 Rated 3 out of 5 by Tbone727 from FLARES UP REALLY BAD I brought the 590s about 9 month ago and love all the features that it has, but when i started making burgers for the family , it flared up so bad that I had throw all the burgers away because I couldn't get them out without getting burnt. I used the grill I would say about 5 times total and even took it apart to clean it because I was told it could be grease build up, but still got very bad flare ups. Im very disappointed. After buying a new home all I wanted to do was relax and grill , but now all I have is stress and burnt burgers. Any help or advice would be very appreciated. I would hate to buy a new one , with this one less then a year old. 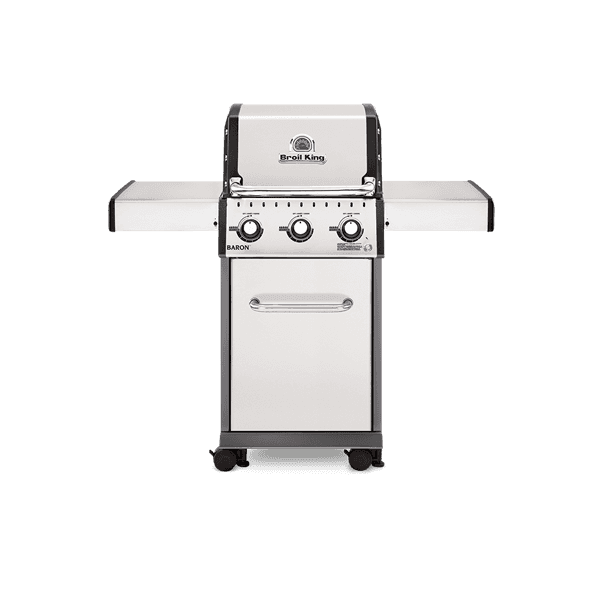 Rated 1 out of 5 by BBQ Steve from Unsatisfied / disappointed customer Purchased the Baron 590 gas grill 2 years ago from Lowes Canada in Ontario. Was really looking forward to owning a top notch well made Broil King as I have been saving up for this. All my cast iron grids after regular seasoning all rusted out, cook box and burners are all rusted in less than 2 years. contacted customer service in regards to the cast iron grids and just received replacements. Thank you. Now my burners, cook box and flavour waves are full of rust and the bbq struggles to keep the heat and temperature up. Have no idea as to why this is happening to such a well made & designed product...... Very disappointed in the quality of the BBQ. Help Broil King! Rated 1 out of 5 by Slappy123 from Disappointed I purchased the Baron 590 a while back and am disappointed at the depth of the lid. I attempted both a beer can chicken and a rear flame prime rib roast at different times. The lid would not close with the beer can chicken and the 4.5 lb prime rib roast on rotisserie kept hitting the lid. 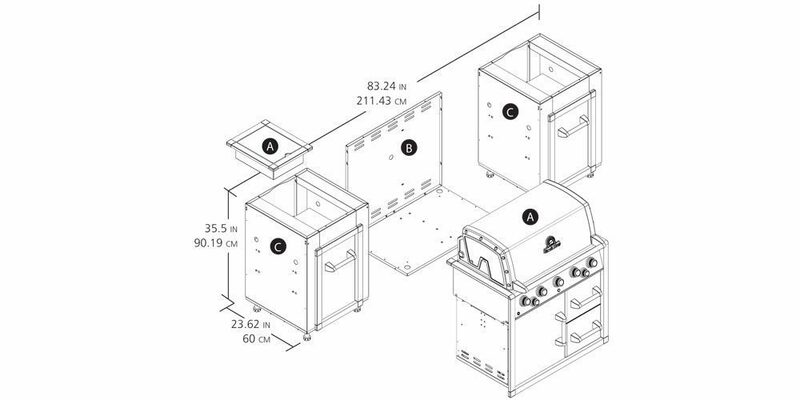 From the top of the rotisserie rod to the underside of the lid is roughly 51/4” whereas the 490 is roughly 7 1/4”. Taking the grates off when it is not necessary is a nusaince. 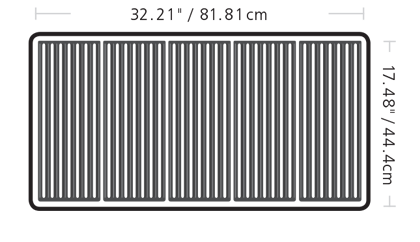 I hope that a better design for the lid is in the works and i sure hope I am on the list to receive one. The unit itself is tremendous other then the lid shortcomings. 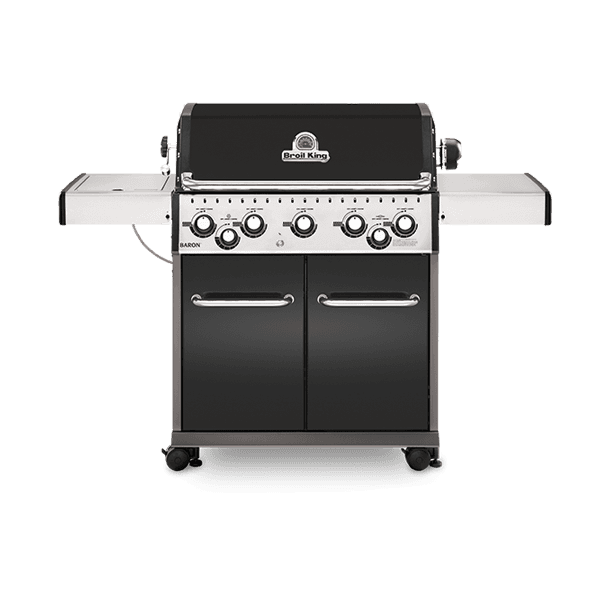 Rated 5 out of 5 by Rusty45 from All-Round Solid Performer I purchased the BBQ several months ago & so far I'm extremely happy with its performance. 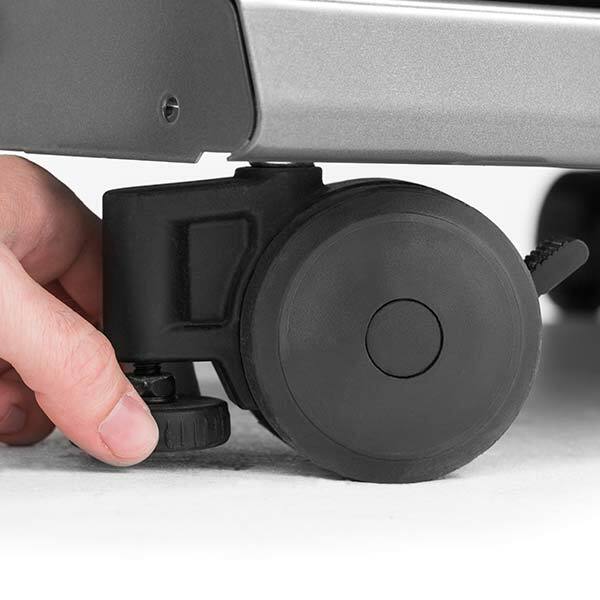 Good fit & quality of parts & I assembled it myself in about 2 hours...a fairly easy task from the manual supplied. 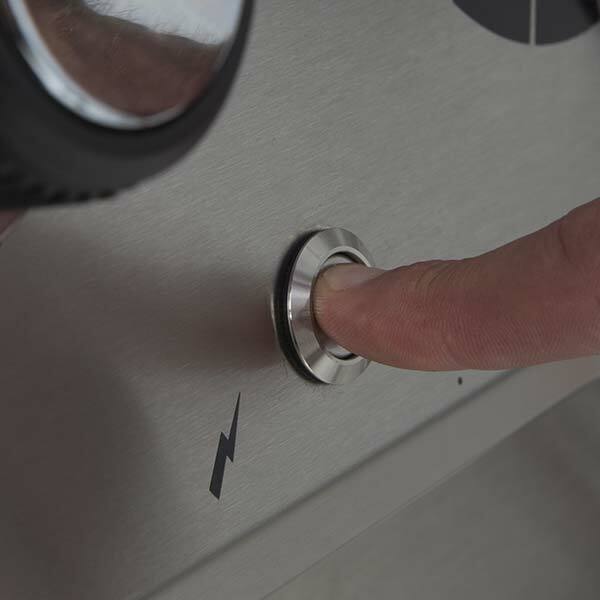 We BBQ quite a lot & have been able to test most of its varied cooking methods including the rear burner/rotisserie, direct searing & grilling, indirect/oven/drip pan & the side burner. It took a bit to get used to temperature control but once at temperature it maintained it with ease & there are no hot/cold spots that I've been able to determine. 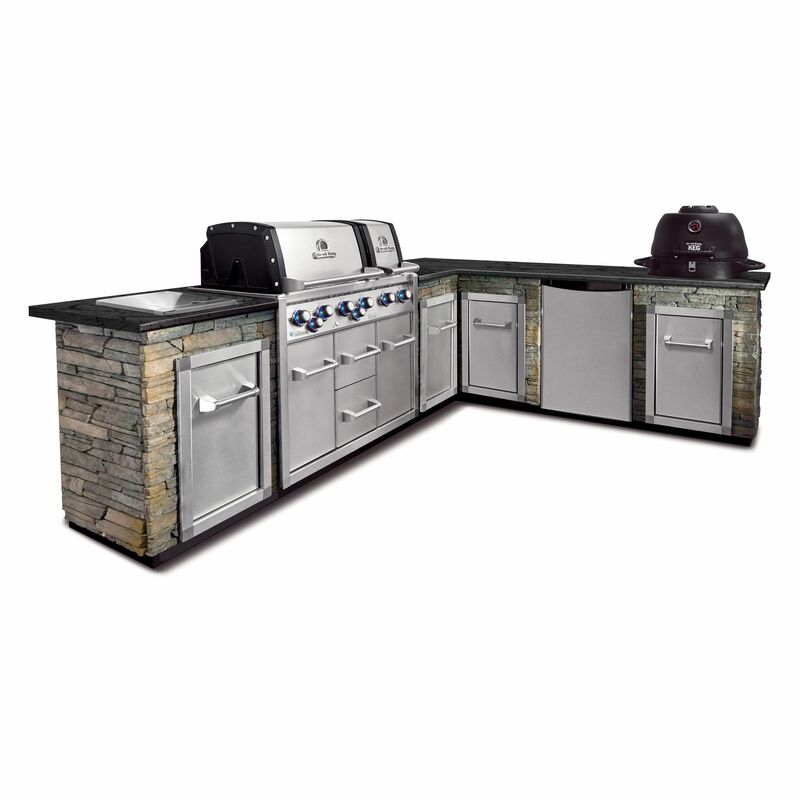 It provides enough grilling space & heat zones to grill steaks, corn on the cob, baked potatoes, peppers & asparagus for 6 with ease. The best part is that my wife loves what I cook on the Baron 590 so if she's happy, I'm happy! Thank-you Broil King! 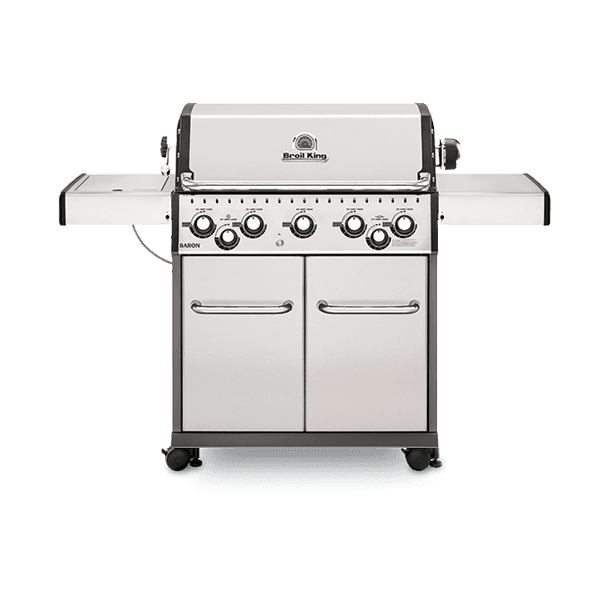 Rated 5 out of 5 by Glen N from Awesome Grill I got this 3 months ago to replace my previous Broil King Imperial which was approaching 20 years old. I was so happy with that one and the Cast Iron Grates that I had to get another one. This one certainly lives up to the history of my old one only better in many ways. 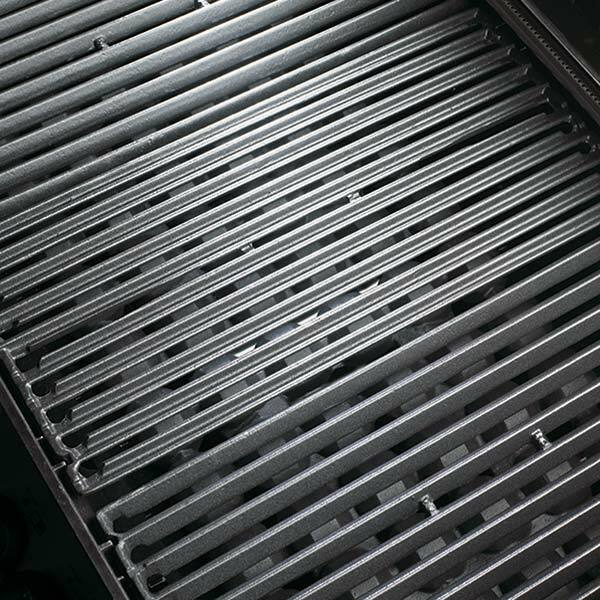 For me the grates are the best part as you can really sear in the meats on this thing and cleaning them is easier that those units that use the 1/4" Chrome steel bars. 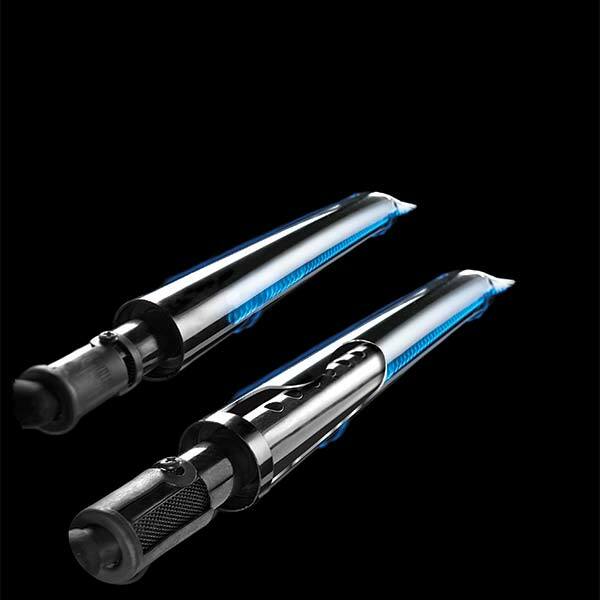 Just Brush and then crank it up for 5 minutes and everything burns off. Great looking grill too. Way better than a cheap, foreign made Stainless Steel Model. Rated 4 out of 5 by Captain Video from Very flexible grill! I've had this now for about two months, with grilling a couple of times a week. Still getting used to the hotspots and temperature control. 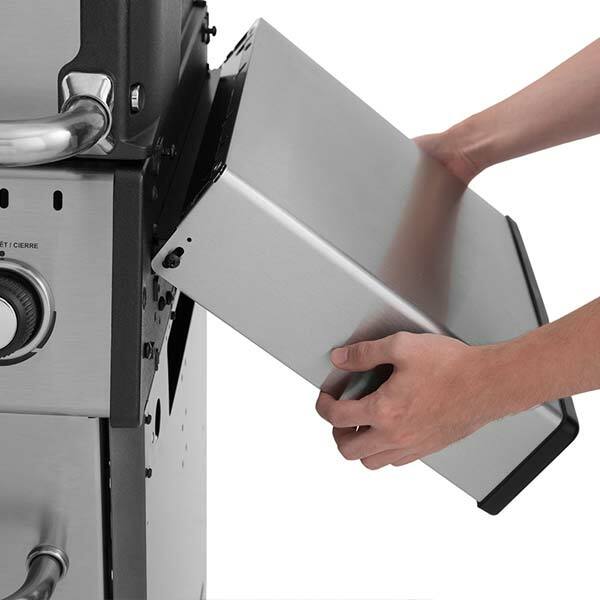 The side burner is more powerful than I expected based on other reviews - a useful burner. 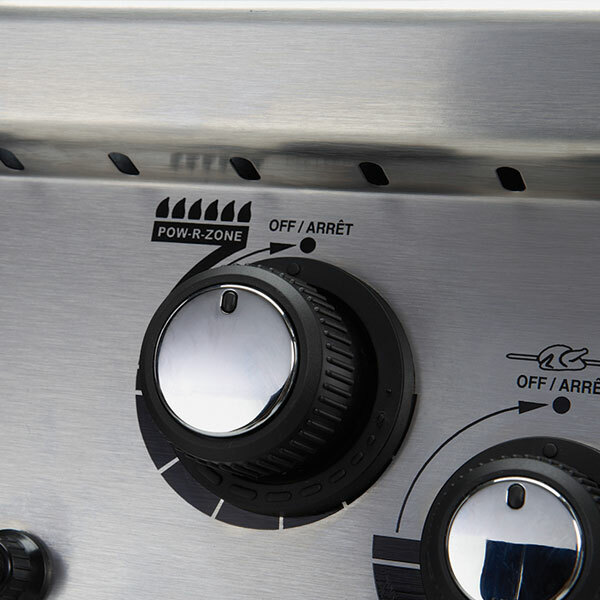 I like having five tube burners on the main grill, it allows me to customize the fire according to what I'm cooking. It seems hotter towards the back which I will have to adjust to. I haven't tried the rotisserie or any smoking. So far, I'm very pleased with my Broil King. Rated 1 out of 5 by Sam66 from Very disappointed Had just under a year. The igniter stopped working after 3 months and the grills have all rusted. We spent significantly less on our previous BBQ which lasts 7 years before the burner started to go but grills never rusted and the igniter still works to this day. We spent more thinking we were getting a better BBQ wish I could redo that purchase. Rated 3 out of 5 by jasonjules from Love the BBQ, customer service not so much! I bought my Baron 590 back in late July. After assembling I noticed the side burner control assembly wasn't with the BBQ. I contacted customer service for a replacement and have yet to hear back. Pretty disappointing considering it's almost October. Other than that it works great. 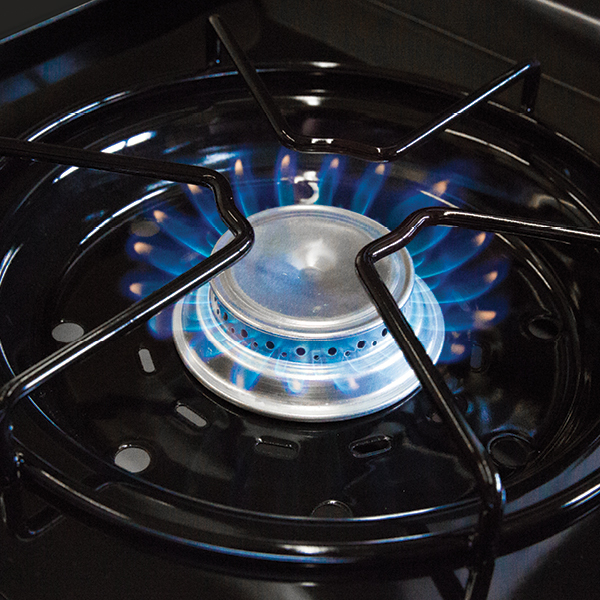 Even flame, easy to clean and hooked up nicely to my natural gas. 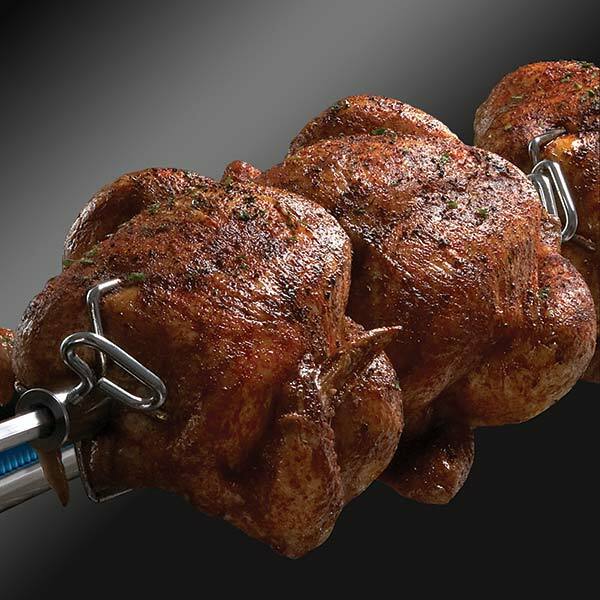 Have yet to try the rotisserie, but hope to this weekend.